Multiligament knee injuries have low incidence, however are very devastating and require special attention. New approaches in the diagnosis are vital to allows a better assessement of associated lesions, more careful treatment planning and objective follow-up. The Porto-Knee Testing Device (PKTD) shows very promising results in the assessment of knee instability. The goal of the PKTD is to provide both anatomical and functional evaluation of the knee. It is able to carefully assess the knee sagittal and rotational stability. In multiligament injuries, the use of a arthrometric device concomitantly with imaging procedures can provide valuable information for surgical planning and stability restoration procedures. It is also possible in the postoperative follow-up to evaluate residual instability. 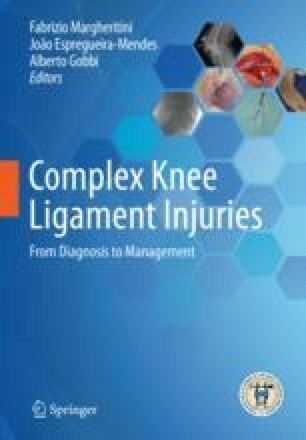 Herein, we discuss the recent developments related to PKTD in diagnosis of knee ligament lesions and instability assessment.